The brief and underwhelming Tim Tebow era in New York, which was also, in some ways, painfully long, is over. The Jets released him today, thirteen months after an embarrassingly hyped trade and days after drafting quarterback Geno Smith, who joins Mark Sanchez, Greg McElroy, and David Garrard in yet another dramatic Jets struggle to be the starter. That Tebow would not be part of the equation was a foregone conclusion after a disappointing season in which the most popular backup quarterback in the league only served to make Mark Sanchez more insane. 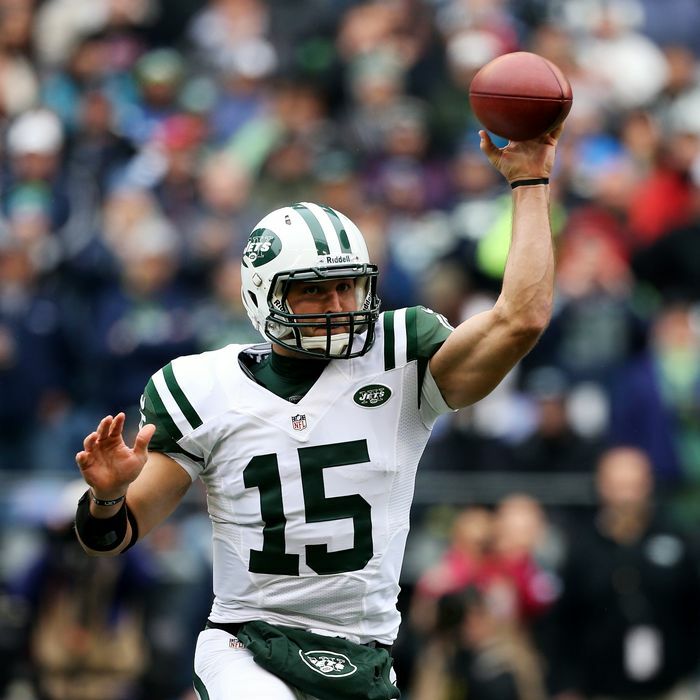 “We have a great deal of respect for Tim Tebow,” Rex Ryan said in a statement. “Unfortunately, things did not work out the way we all had hoped.” Tebow’s final line as a New York Jet sums it up: In fewer than 80 snaps as QB, he completed six out of eight passes for 39 yards and ran for 102 more, scoring a grand total of zero touchdowns. That’s all, folks.